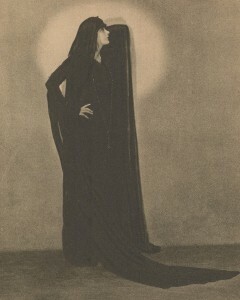 Barbara, photographed by Hoover Art Studios, during her ascension to worldwide fame. The vamp first emerged on the screen in 1915. She came in the form of Theda Bara in A Fool There Was, a film inspired by Rudyard Kipling’s poem, “The Vampire.” She was a shocking figure: a woman who deliberately uses her femininity to ensnare men. To some, she was a titillating deviation, the antithesis of the standard saccharine heroine. To others, she was cause for alarm, an additional threat to society’s diminishing Victorian morals. 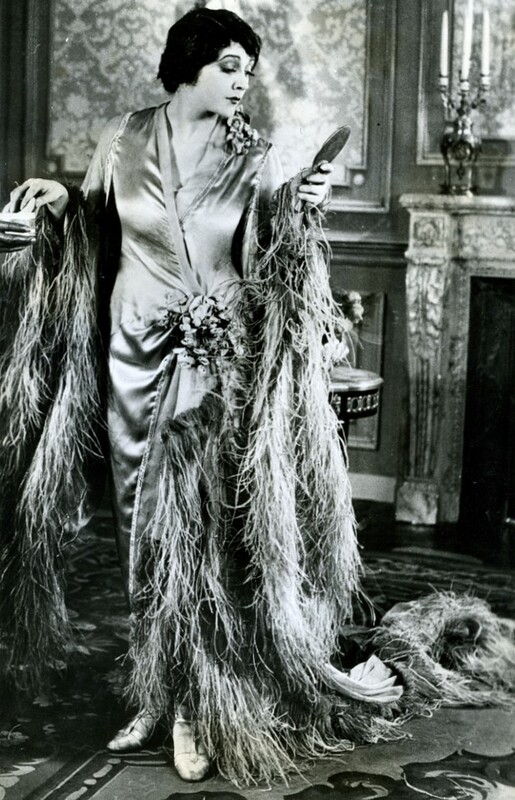 To film producers, she was gold, the precursor to a new breed of screen goddess. Barbara eventually tired of playing wayward women and shunned vamp roles altogether. She yearned to play the more sympathetic roles she had proven herself capable of in such films as Louis B. Mayer’s production, Thy Name Is Woman (1924). By 1925, public tastes were similarly shifting and fun-loving flappers began eclipsing vamps as the newest idols of the silver sheet. Barbara, inextricably linked to her naughty onscreen image and declared washed-up in the trade magazines, fought for one final chance. “I’m not silly enough”: La Marr, Barbara, “Why I Adopted a Baby,” Photoplay, May 1923, pg. 31. “It’s the look in the eye”: Drummond, Joan, “Beautiful Barbara,” Pictures and the Picturegoer, April 1924, pg. 44. “She is remarkably straightforward”: Elliot, Foster William , “Not Like the Fan Stories,” Los Angeles Times, September 17, 1922. This entry was posted in Barbara's Film Acting Career, Uncategorized on June 18, 2013 by Sherri.